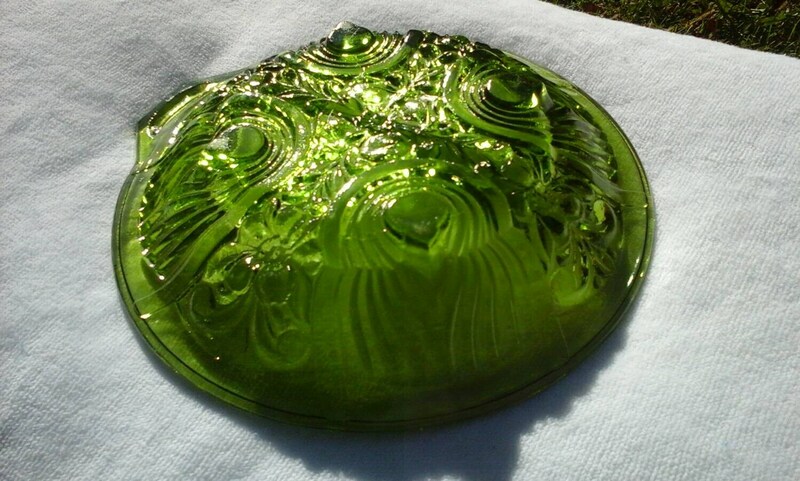 Kilarney Irish Bowl Olive Green Candy Dish By Indiana Glass Co. 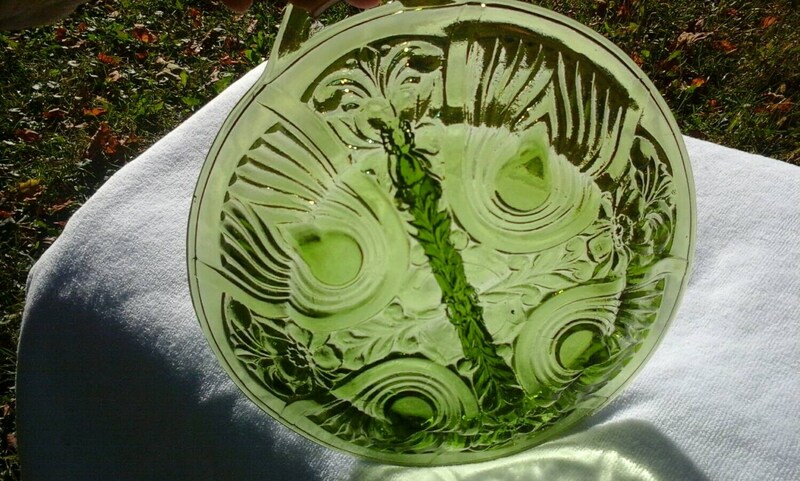 This dish is stunning and in mint condition. It measures 7.5 inches diameter and is 1.5 inches in depth. An excellent addition to your serving pieces. 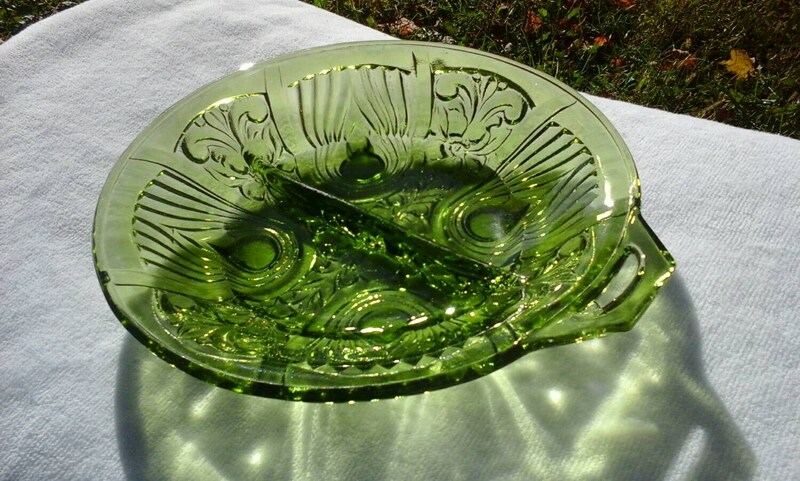 Makes a great retro house warming, bridal shower or birthday gift. *We combine shipping on multiple items purchased as possible to save you shipping costs.